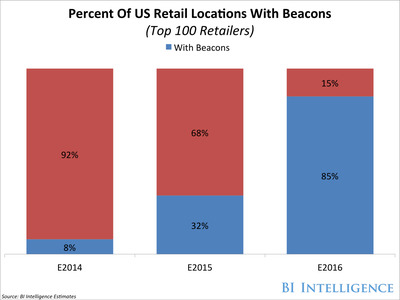 More than half of the top 100 U.S. retailers are testing beacons in stores this year. How big will the beacons market become? In a recent report, BI Intelligence finds that these small devices are the fastest-growing in-store technology since mobile credit card readers. The beacon installed base will see triple-digit growth rates over the next few years. Globally, we estimate that 570 million Android and Apple smartphones are compatible with Bluetooth low energy (BLE), the signal emitted by beacons to wake up smartphone apps, which translates to roughly one-third of the smartphone installed base. 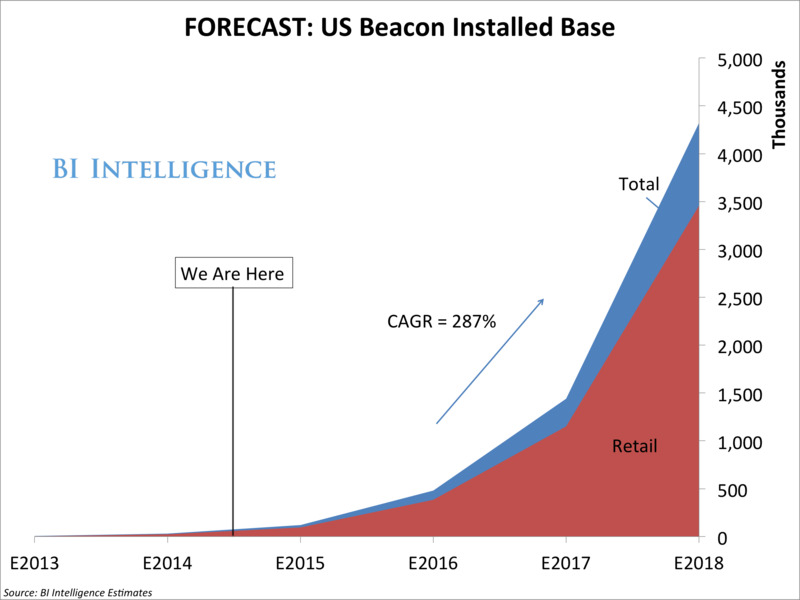 The Beacons Market Forecast is part of new research from BI Intelligence. The market forecast is paired with an explainer that sets the story straight about what beacons are, how they work, what Apple is doing with iBeacon. We look at why Apple is still in the lead, and ahead of Google, when it comes to beacon technology. Apple’s iBeacon implementation means that iPhones running the latest version of iOS 7 can scan for beacons in the background, even when the relevant apps are closed. That doesn’t yet exist on Android. Outline the ways that beacons are currently being used in stores, and other venues. 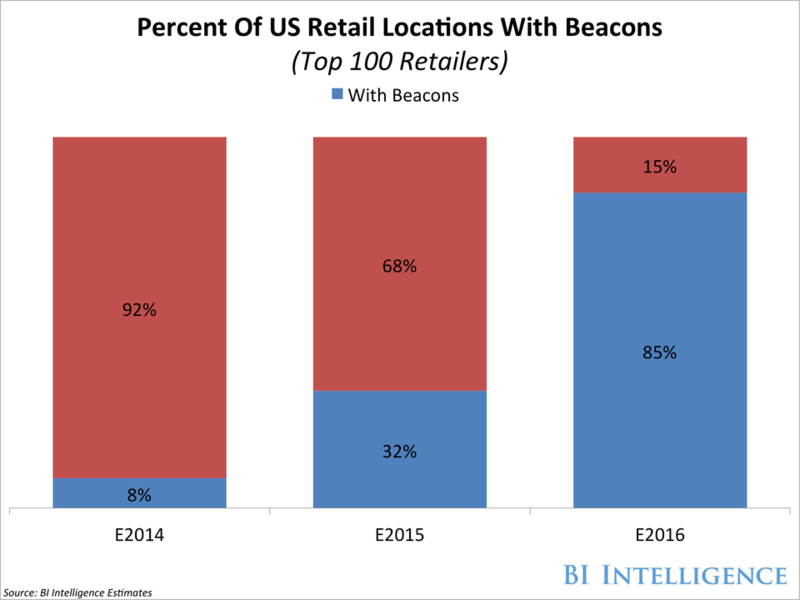 Explains why retailers are so excited about beacons and what they hope to accomplish with this new technology. Proves that location-based app notifications powered by beacons increases user engagement in apps, and drives more in-store sales. To access the Beacons Market Forecast Report and BI Intelligence’s ongoing coverage on the future of retail, mobile, and e-commerce — including charts, data, and analysis — sign up for a free trial.